aletab5, you said that you needed textureres to me by PM. Can you send me the picture of the model and the base texture please? This is our Manatee, made by the amazing Mushroomsock! 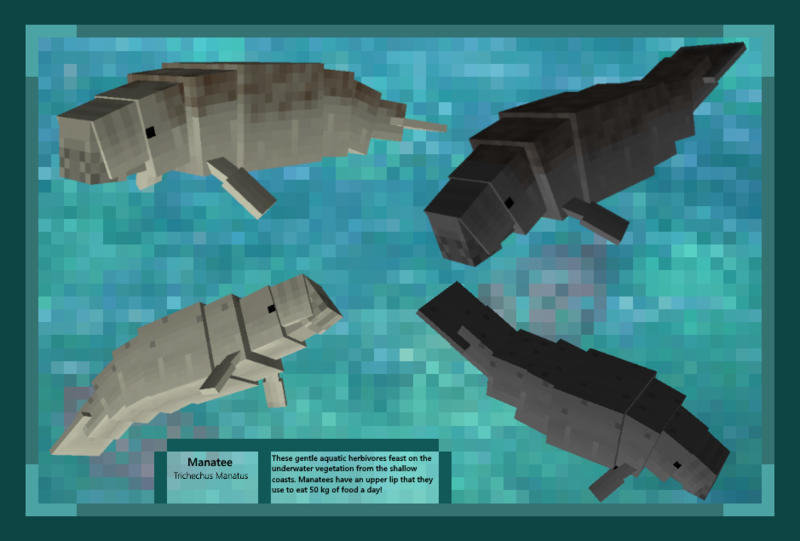 I like the idea of the mod and amazing manatee model mush. Well, unfortunately this mod has been disbanded. There are many mods coming out that plan to follow the same basic structure as this. 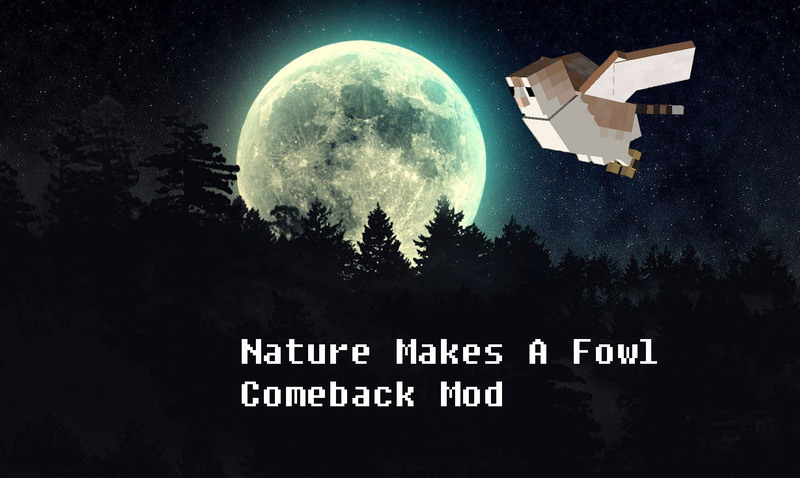 I am currently working on a modern world animal mod, though it hasn't been announced publicly yet. When do you think it would be announced? I wish you good luck with your mod!